Shoreline Community Church - Making the invisible God Visible! - Financial Peace University is coming BACK to SCC! 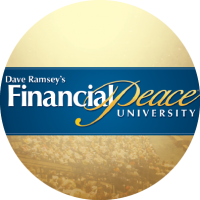 Financial Peace University is coming BACK to SCC! This course will run every Thursday evening from October 4th thru November 29th. The cost for the course is $129.00 (plus shipping and handling) if you register via the link above! The course will meet at 7 PM @ 9 Business Park Dr Units 1-4 Branford, CT 06405. Spread the word to your friends and family. All are welcome to join us!